Excellent craftsmanship, high quality construction and thoughtful design are at the heart of every Coachman caravan. With a reputation for producing luxurious, stylish and yet practical caravans which offer lovely specifications and flexible accommodation, Coachman continue to excel in their ranges for 2019. 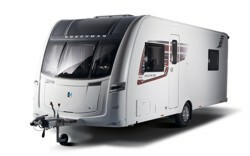 The 2019 Coachman Vision range offers good specification at a keen price. If you are looking for extra features the 2019 Coachman Pastiche range offers a higher specification in the same stylish bodyshell. For top-of-the-range luxury the 2019 Coachman VIP offers a lovely range of single axle layouts with the 2019 Coachman Laser offering exceptional luxury in three spacious twin axle designs. Whether you are a family or a couple, the Coachman Vision is designed to be spacious, flexible and affordable while still offering the comfort and luxury you expect from Coachman. The well-planned interiors are packed with state-of-the-art features which offer all of your home comforts whilst you are enjoying your latest adventure. 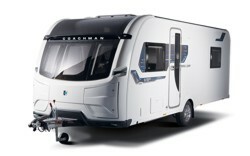 There are six layouts in the 2019 Coachman Vision range. The 2019 Coachman Pastiche builds on the Vision range to combine spacious, versatile living areas with stylish extra features to create a luxurious, comfortable space. This season's range is furnished with a selection of clever design features and luxurious touches that you have come to expect from the Coachman Pastiche. 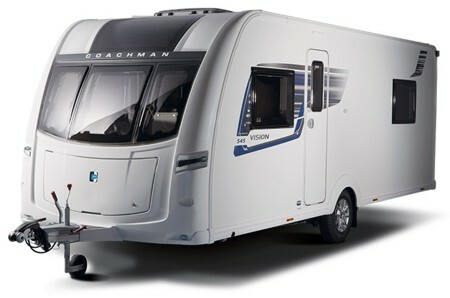 The 2019 Coachman Pastiche range offers six models to choose from. The Coachman VIP is the flagship single axle range and is a luxurious home-from-home, packed with exclusive features that make it truly exceptional. All layouts have been updated with even higher specifications to create a range of caravans that are truly special, combining a bold and vibrant exterior with a sumptuous interior. The 2019 Coachman VIP range offers six models that stand out from the crowd. The all new Coachman Laser is the twin axle flagship range for 2019 and is packed with more luxurious touches than ever before. All three new layouts have been carefully designed to offer individuality and luxurious space without compromise. 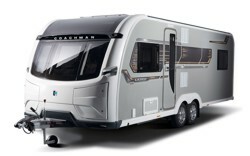 The 2019 Coachman Laser range offers three new layouts. Which new Coachman models do Tilshead Caravans have on display? Click here to see our list of new Coachman caravans available to view or contact us if you wish to check availability and pricing. For more information, including floorplans, features, brochures, pricing and enquiry forms for the Coachman ranges, please click on the model ranges above.